The teen, described as being between 16 and 18 years of age, entered the house through an unlocked back door at Ely Avenue near East 233rd Street at 9:22 p.m. on Sunday, May 17, according to video released by the NYPD. 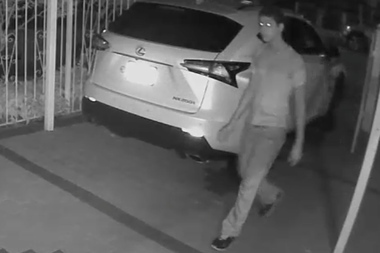 The teen swiped the keys for the 2015 Lexus, which was parked in the house’s driveway, along with a pair of shoes, according to the video. He hopped into the vehicle and drove off, police said. The car was found undamaged on Monday about seven miles away on Concord Avenue near East 150th St. in the south Bronx, police said. Surveillance video of the incident shows the young man opening the gate to the driveway, then running away when he was confronted.